That’s the one question we’re asked the most, and the answer is simple: If you love Danville and are happy to be a part of our wonderful city, then you’re in. 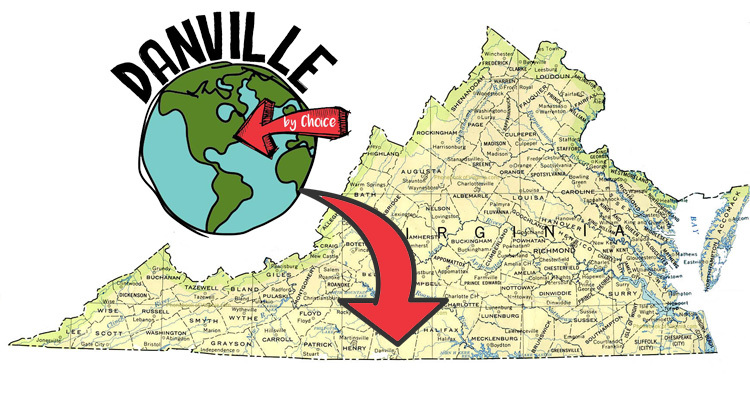 You’re already “Danville By Choice.” Or, DBC, as we endearingly like to call it. We’re Ina Dixon and Carrie Petrick, DBC’s co-founders. We both grew up in the Danville area, and moved away for college and other 20-something ambitions, but decided to return to our roots in late Spring of 2014. Fate would forge a fast friendship between us, and one of our strongest commonalities was, and continues to be, our love for Danville – its past, present and future. The idea of DBC was born out of conversations concerning our growing community. We wondered what we could do to foster a positive outlook for Danville, and the idea of utilizing social media to serve as a beacon of light proved to be a perfect fit. We, as well as thousands of others, were tremendously proud and excited to be “Danville By Choice” and we created an online presence to celebrate and promote Danville and its growth, as well as the numerous happenings in our area. Whether you are older or younger, professional or retired, black or white, native of Danville or not, there is a reason you are here in this city– let’s enjoy it together! Through Facebook, Instagram and Twitter, we share events, pictures and articles that highlight the positives in Danville and its surrounding area. You might even have had the good fortune of acquiring some of our limited-edition DBC swag (don’t worry, more is on its way!). We’ve also hosted Meet & Greets, as well as worked with Danville Parks & Recreation to bring you a kayaking excursion on the Dan River, and a “Chalk Art” event with the Danville Children’s Festival. We continue to partner with 2 Witches and Meet Up Monday for a very popular monthly trivia night, Quizzo. Last Summer, we hosted our first annual “DBC Potluck Picnic” and look forward to hosting it again this year on Saturday, July 30 at Camilla Williams Park at 4pm. Please bring your favorite dish and non-alcoholic beverage and meet other DBCers for food and fun! Quizzo & Meet up Monday 1st Monday every month (July 11th this month), 5:30pm-7ish Join the fun with four rounds of invigorating trivia at 2 Witches (209 Trade St, Danville, VA 24541). Show up with or without a team– teams may have up to 4 people. Start assembling your team at 5:30 pm, trivia begins at 6pm. Theology on Tap 2.0 1st Wednesday of every month 8pm-9:30ish Join a discussion group on the first Wednesday of each month at the Golden Leaf Bistro (215 Craghead St, Danville) for thought provoking discussion in a relaxed setting. Topics range from faith to contemporary issues directly impacting the lives of young adults and those who are young at heart and mind. Thirsty Thursdays at the Danville Braves, August 11th, 7pm What is better than beer and baseball? Not much. Enjoy this night out with the Braves and root for the home team at Dan Daniel Park. Music on Main Main Street, August 18th, 6:30-8:30pm Enjoy free music downtown by the fountain at Main Street Plaza. Head to Me’s (215 Main St, Danville) to enjoy a burger before or after the show! To Kill a Mockingbird, August 26th, 9pm At one time, Danville had over ten movie theatres downtown– relive that era in a whole new way with Danville Parks & Recreation’s outdoor screening on Main Street of the classic movie “To Kill a Mockingbird.” Bring chairs and blankets! There are wonderful people, gatherings, sights and sounds around Danville, and we hope you’ll enjoy them all with us.